Our Operator Training Simulators for Process-Plant SOP/Emergency/Safety Training, On-The-Job AR Assistance, Assembly-Line Training, Shop-Floor Equipment Maintenance training for Automobile/ Aerospace, Skill-Development Training and Virtual Product Launching Platforms have been used for years by our Global-Clients & Govt agencies such as Defence with proven production efficiency benefits. We create truly connected “Immersive Digital-Twin” Experiences sure to captivate our Smart-Factory customers. Virtual Reality, AR and MR are making science fiction dreams a reality around the world. This tech revolution is spreading outside the gaming and entertainment industries into practical applications. We create truly immersive experiences sure to captivate your audience. Entered into the Industrial Virtual-Simulation space as early as year 2012 and commercially launched Virtual Reality services for the first time in India during early 2014. Created Top-10 listed mobile games in Google Play-store with nearly 30 Million + downloads and award-winning VR-Products for private/Govt agencies in India and across the world. Listed in “20 Most Promising Virtual Reality Solution Providers – 2018” - by Silicon India. 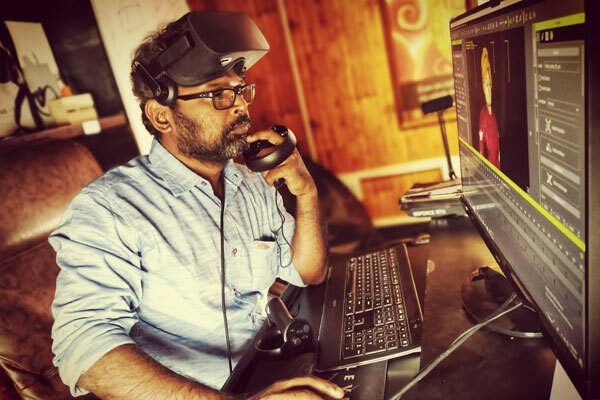 One of our major initiatives ImmeX-Zone was the first ever commercially launched real immersive VR product in India and Singapore during Yr 2014 where we have developed an indigenous VR-HMD and a Dynamic Haptics & Effects integrated Simulation-Platform for an ultimate VR-Experience of that time. We have vast experience in developing content for all major Extended-Reality devices such as Oculus-Rift, HTC-Vive, Microsoft Hololens, Android and Apple Devices. Based on the customer’s requirements, we provide solutions for any other leading devices such as Real wear-HMT.